I’m not a genius or anything. For obvious reasons I can’t attach a PDF to these books (or I’ll get sued till my undies drop). So, what you can do is go down to your nearest library and borrow these books. Or if you wish to, you can purchase them directly using the links below. Note: I’ll earn a referral fee if you purchase from Amazon but it comes at no extra cost to you. So are you ready to find out which are the best trading books of all time? This book contains interviews with successful traders and it’s one of the most recommended books in the trading business. Some of the interviews share how a trader who turned $30,000 into $80 million, the hedge fund manager who’s averaged 30% returns every year for the past twenty-one years and the T-bond futures trader who parlayed $25,000 into $2 billion! The interview contains legendary traders like of Paul Tudor Jones, Ed Seykota, Richard Dennis, and etc. I highly recommend this book to anyone interested in trading. However, if you’re brand new to trading, you may not enjoy this book as it requires a basic understanding of technical terms. This is a follow-up to the earlier Market Wizard book and is written in the same format. The only difference is this book focuses on American traders, whereas the earlier book has traders from all around the world. Nonetheless, the value it provides is invaluable. This book is an entertaining read. It shares the ups and downs of Martin Schwartz, who started off as a fundamental analyst but couldn’t find success with that approach. 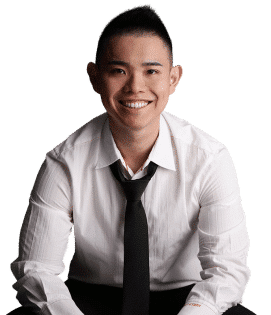 Then, he moved onto technical analysis where he had his breakthrough — making $1.8million in his first two years of trading. Eventually, he became a champion trader whose nerves of steel and killer instinct earned him the well-deserved name “Pit Bull”. This book is entertaining to read and you’ll get a few laughs along the way. If you’re looking for a good trading story, then this book is for you as it’s easy to read and very entertaining. But if you’re looking for specific trading strategies and techniques, then this book isn’t for you because it’s more of a biography than a how-to book. If you ask a successful trader which is the one book he’ll recommend, chances are, Reminiscences of a stock operator will appear many times over. That’s just how good it is. Well, this is a biography of Jesse Livermore, possibly the most famous trader of all time, on how he speculated the financial markets. He started trading at a young age and as he developed as a trader, you’ll learn how his trading style evolved. This is a highly entertaining read as you’ll discover how Jesse Livermore made and lost millions along the way — and was even bankrupt a few times over. As you read this book over again, you’ll learn new things that didn’t occur to you before (well at least that’s how I felt). I can relate to the experience of Jesse Livermore as it’s something many traders will go through. And the trading lessons you’ll learn are timeless and would make sense for most traders. I took a while to finish reading the first time as some of the technical terms were hard to grasp at the start (especially for new traders). If you’re looking for a good trading story that contains trading wisdom, then this is a book to read. But if you’re looking for specific trading strategies and techniques, then this book isn’t for you because it’s more of a biography than a how-to book. William J. O’Neil is one of the greatest stock traders of our time, achieving a return of 5000% over a 25 year period. He uses a trading strategy called the CANSLIM method which combines both technical and fundamental analysis, which is covered in this book. The CANSLIM system is relatively easy to understand even for those with little fundamental analysis background. As you read the book, you’ll get a soft sell to subscribe to the investor’s business daily service. Also, the charts presented are relatively small and hard to see. If you want to learn how to trade stocks using both technical and fundamental analysis, then this book is for you. But if you’re not trading stocks, then this book won’t help much since the fundamental aspects of it are different. Mark Minervini is a stock Market Wizard and a U.S. Investing Champion. In this book, he reveals his proven, time-tested trading system he used to achieve triple-digit returns for five consecutive years, averaging 220% per year for a 33,500% compounded total return. He uses a similar trading approach to the CANSLIM system, which combines both technical and fundamental analysis. A straightforward approach explaining what he looks for when he’s trading stocks. There’s nothing I can think of. But more trading examples would be nice. On average, the stock market returns 5 – 6% a year. But for that kind of returns, you need to swallow the occasional drawdown of 50% or more. So, is there a better way to trade with lower risk and higher returns? Because in this book, Andreas Clenow will show you how to do it step by step, explaining the full details of his momentum trading strategy. One thing I respect about Andreas Clenow’s work is he uses statistical evidence and backtested results to back up his claims, which is something rare in this industry. It can be a little overwhelming for those who have no prior knowledge of statistics. This is for traders who want to learn more about systematic stock trading. But if you don’t trade stocks, then this book isn’t relevant to you. I’m obviously biased since I wrote this trading guide. The idea behind it is, it explains what Trend Following is about without leaving you confused by the technical jargon out there. And, I’ve included a simple Trend Following strategy that lets you profit in bull & bear markets. This is the first book that got me started on Trend Following. It explains the concept of what Trend Following is about and how hedge funds use this approach to make their millions. Plus, it includes the track record of these hedge funds which proves the validity of Trend Following. This book explains the Trend Following methodology backed by real evidence based on actual results. There’s no exact strategy to get you started and you must dig further from other sources/books. Traders who want to get started in Trend Following. If you’re a day or swing trader, then this isn’t for you. A true story of how a group of random people is selected for a special trading program. They had a 2-week crash course on trading and are left on their own afterward. They made millions. And this book reveals the story behind it, what they did, and the trading strategy they used. This book is easy and entertaining to read. And it goes deep into the Trend Following methodology covering risk management, entries, exits, and more. 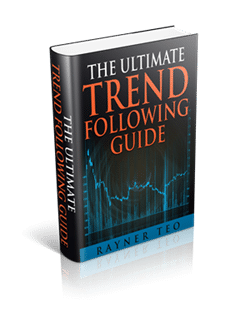 Traders who want to get started on Trend Following. If you’re a day or swing trader, then this isn’t for you. This is the first book Andreas Clenow wrote which explains how a simple trading strategy (Trend Following) can beat a buy and hold approach, consistently. He reveals to you the full detail of his trading strategy along with his backtested results. Not only does Andreas Clenow uses statistical evidence and backtested results to back up his claims, he also walks you through the trades the strategy would have executed and the psychological aspect of trading, on a year by year basis. Traders who want to get started on Trend Following. If you’re looking a day or swing trader, then this isn’t for you. This is the second book I wrote that teaches you the essentials of Price Action Trading. Because you don’t need to know every technical indicator, chart pattern, candlestick pattern, to be a consistently profitable trader. You just need to know the essential stuff — that works. 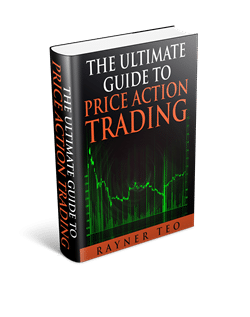 And I share them with you in The Ultimate Guide to Price Action Trading. This book is written in a textbook style covering the essentials of technical analysis like chart patterns, candlesticks, and etc. You will be equipped with the necessary skill to read a chart and to identify patterns on it. This book is easy to read and it gets straight to the point, unlike other technical analysis books I’ve come across. It might give the illusion that all technical analysis is all you need. But in reality, you need much more than that. This is for traders learning how to trade and have little to no knowledge of trading. This book takes on the traditional aspect of technical analysis and gives it a whole new spin — by backing it up with statistics. In my opinion, this book is a gem as Adam Grimes has done all the hard work for you. He has backtested different chart patterns so you know which ones give you an edge in the markets, and which doesn’t. A detailed look at what works and what doesn’t in technical analysis. This is a must-read for all traders unless you’re scalping based on the order flow. This book is written by Stan Weinstein back in 1988 (just look at the book cover and you’ll know how ancient it is). But don’t let this relatively unknown book fool you. It’s packed with practical trading knowledge that you can apply to any markets or timeframe you’re trading — I’ve even adopted some of the concepts till this day. A simple book that shares practical trading concepts and techniques. Plus it includes a quiz at the end of each chapter so you can test yourself. There’s nothing I can think of. But you should note the examples are mainly stocks that have ceased to exist (since it’s written some time ago). This book is written by Mike Bellafiore, a co-founder of a proprietary trading firm in NYC. In this book, he talks about the key ingredients to successful trading, why some traders succeed whereas others fail, and how to find the “correct” stocks to trade. Plus, you’ll learn how to make sense of the order flow and use that knowledge to your advantage. An entertaining read that gives you a real insight into the world of proprietary trading (something that is rarely spoken about). There are no examples on how to find stocks in play. Anyone who is a trader, in particular, proprietary traders. If you’re not familiar with price action trading, then this book will open a whole new world to you. Because this book focuses solely on price action trading and is written by Bob Volman, an independent forex trader. You’ll get valuable insights into price action trading, and the trading thought process of Bob Volman. His take on price action trading differs from what’s being regurgitated elsewhere because he goes into a much deeper level. This gave me an insight I never thought of before. It’s wordy and may require you to re-read a paragraph a few times to understand what he’s trying to say. If you’re trading using a chart, then I would recommend reading this book because the techniques and concepts can be applied to all markets and timeframes. This book contains the essential knowledge on how to trade using Market Profile. Well, it’s another form of chart interpretation but this time round it also considers the time factor. The benefit of using Market Profile is that it gives you an insight into what type of day it will be, whether it’s a range day, a trend day, high volatility day, and etc. From there, you can formulate a plan for your trading day. It covers Market Profile in-depth which is something you’ll not commonly find. There are no practical examples on how traders can use this knowledge to profit in the markets. This book is relevant for futures day traders. If you don’t belong to this category, then this book is probably not for you. If you want to know how fundamental data affect the currency markets, then this book is for you. You’ll learn what are the important news release to pay attention to and why. Also, it includes a few technical trading strategies for you to trade the Forex market. Fundamental analysis explained in a simple step by step manner (for the layman). There’s no logic or statistical validity to prove that the technical trading strategies work. Forex traders who rely on fundamental analysis in their trading. This book dives deep into how the Forex market works by explaining the participants in the Forex market and their reason for trading. Then, it tells you why the odds are stacked against you (the retail trader) and how you can apply specific trading strategies to level the playing field. It’s a no-BS-straight-talk book about how the Forex market really works. And I like how it explains the concepts behind why the trading strategies work. Some of the trading strategies are no longer applicable in today’s environment. I took years to compile this list of best trading books and I’m looking to add more over time. Do you have other trading books in mind I should add to the list? That’s a good one and I wanted to include it. But I’ll need a separate category for that book… so I’m looking for a few more books to add to the list. Thanks for sharing these lists. Your 2nd book helped me a lot, at least I don’t loss too much since I studied it. What about the Steve Nison’s Book (Japanesecandlestick charting techniques )? Trading in the Zone by far my preferred choice. Does the Complete Turtle Trader offer and trend following systems? They do share their trading systems in the book. Momentum Masters — It’s an interview format. Minervini, Ryan, Zanger and Ritchie. Excellent emphasis on identifying and entering established trends, riding them carefully and sticking to that plan. Great list, will have to check them out, thank you so much!!! On your list I have read several books. Technical Analysis of the futures markets , Market Wizards, and Reminiscences of a Stock Operator. I think Market Wizards, Reminiscences of a Stock Operator, and Turtle Trader are my go-to’s these days. They’re Probably the books that impacted me the most. There’s a few on your list I haven’t checked out. Thanks for the list. Rayner, I’m surprised that Alexander Elder’s book, “Come into my trading room” is not listed. Thanks for sharing. That’s a good read! Nice collection of good books to read here. Thanks as always Rayner. I would suggest ‘How I Made $2 million in the Stock Market’ by Nicolas Darvas too. Entertaining read with good examples on how to catch a big move. I agree, thanks for sharing! My favorite one ( so far I’ve read 30+ trading books) is ‘Trade Your Way to Financial Freedom’ by Van Tharp, because it provides 360 degrees of ideas on how to develop or improve your own trading methodology. I’m also highly suggesting The Little Book of Market Wizards from Jack Schwager, where he extracts from his famous interviews the common traits of best traiders of all time. It helps you to tune yourself on the right trading mindset. How I made 2 million in the Stock Market by Nicolas Darvas is a nice read as well. Congratulations Rayner for your work and thanks for sharing with us very useful stuff! Thanks for sharing. I’ve not yet read the little book of market wizards, I’ll check em out. “Fortune’s Formula”. Quick and fun read, and the first book that really drove home the math of trading for me. Thanks for this great list of trading books Rayner! There are definitely some great ones on that list. Really hard to choose a favourite but Stan Weinstein’s has got to be near the top of the list. That’s definitely a great book! Anything by Larry Williams is worth reading. Long Term Secrets To Short Term Trading is the best I’ve read on the subject. Thank you for sharing, Jonah. The pleasure is mine, Azmir. Encyclopedia of Candlestick Charts by Thomas Bullowski. Bukowskis pretty expensive book is in basic free on his website, where he has free access of all candlestick analysis. I see some people also recommend Elders Trading for a living (which imo is good) So even if this is a old post I will recommend Elders Sell and sell short. Some overlao to trading for a living (ofcourse you need to buy something before selling it!) but both parts of book learned me alot about when to take profit or just sell signals for shorting. I will think I am not the only guy leaving lots of money on table when owning something and not taking ørofit until in best case it halves or worst case turning in to a big loss! Thank you for sharing, Per. How about “Trading for a Living “? I’m going to look into some of your recommendations. 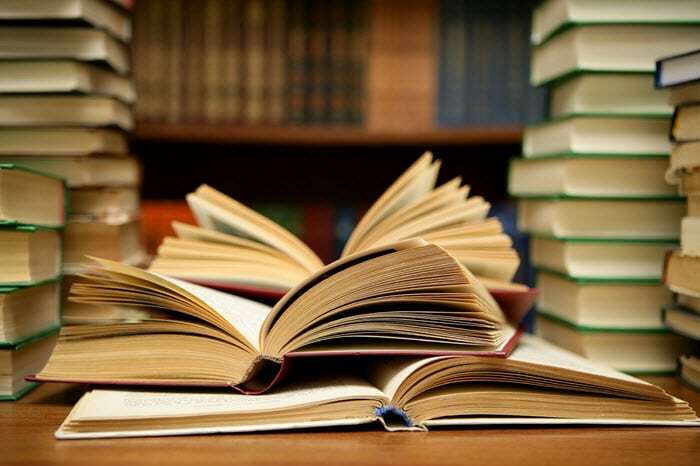 Besides reading all these books, where is the best starting point for a novice trader. am very passionate to join trading but in need of some form of training. It’s probably less known in the states but it is in my opinion ESSENTIAL for every trader. Written by Italian Stefano Fanton, the book is called “Zen And The Way Of Samurai Trader”, is about the essential truth of trading following the price and killing our worst enemies inside our ego. Thank you for sharing, Nic! Thank you for sharing, Hugo. great job my friend….. at the moment for me is “trading in the zone”…… but I’m going to read some from your list. I’ve not read it so I can’t comment on it. Thanks for sharing your lists and most especially the reviews. Definitely some new ones to add to my list. Have you studied the works of Robert Prechter or WD Gann? I’ve read through a bit but didn’t find it of much help. Need to ask one thing while reading book should we take notes from the books recommended above or just pure reading will be ok? It’s up to you, really. I’m glad to hear that Harold! Thanks for sharing. I am a complete novice and want to start learning about trading and investing, which category should i start first and how to proceed, please help Rayner. I’d add also “Trading in the zone” as a classic. Other two books that had particular influence over my trading development were – “Insider Buy Superstocks – Jesse C. Stine” and “Trade Like an O’Neil Disciple” by Gil Morales & Chris Kacher. Even though authors are not as famous as other market wizards their approach is pretty interesting and deserves the reading. Thank you for sharing, Emil! Hello Rayner. Thank you for your hard work in compiling this list. Very informative! These are among my all time favorites, as i follow their strategies. I recently started trading Forex, just on a demo account, until i get used to trading those instruments. I only trade off the opening range with price action, but i recently bought Katht Lien’s book and i am very excited to learn the fundamental side of the forex market. was one of the first books I read about trading and it spoiled me. It has so much information that others don’t . This book explains what is going on when the price changes and how to predicts it. It uses ALOT of illustrations and I still use it as a reference book. Thanks for constantly updating this List Rayner! Hello Rayner ! I started trend following of Michael Covel. But this book seems to be a “bible” or a holy book for trend follower’s sect (very unpleasant.) Not a lot of data and this book is empty. The men talk about baseball ???? Wtfff. Maybe u should add to your list “Crisis alpha” from Kaminski wich is a scientific book on trend following. The book is more of the principles behind it and why it works. For more technical stuff on Trend Following, Following the Trend by Andreas Clenow does a good job of covering it. One of my favourites is Quantitative Technical Analysis by Howard Bandy. It is a very good guide to trading system development and trade management that can be applied to any market. Thank you for sharing, Ola! I Cannot find the ” Day Trading for Dummies” Would you please review the book for all. Hey, great post. I’m an affiliate marketer looking to get into something else. I don’t really know anything about trading but have about $20,000 to go in with. I have no clue where to start. I see a few books that would be great but where should I start? Meaning someone with no idea about any of this. I like the idea of Trend Following and would like something like that. If you could recommend three books to get started I would appreciate it! ps it’s from the fifties, isn’t it wonderful? Thank you for sharing, Cesare! It’s not really a trading book per se but some ideas can be useful for set-ups and for position trading. His review of where to look for market information might be the most informative out there. Thanks for the list . What are the best “Swing Trading ” books ? I haven’t come across such books yet. Thank you Rayner for the list. I will look for this books. Would also recommend the book by T. Harv Eker – “Secrets of the millionaire mind” to touch on the inatangibles of trading as well. Great book to develop money management and inner self. Many good books on this list. Some I’ve read. But, I like your own reports better because they are simple and straightforward and easy to read or watch, and they offer good practical advice for the smaller retail trader. Thank you Ken, I appreciate it. Thanks for sharing. I like how you listed what you liked and didn’t like about the books. My fav trading psychology book is Trading in the Zone by Mark Douglas. I read it before I knew much about techniques and thought it was a good start to focus on mindset first. For more practical tips, I liked Naked Forex by Walter Peters. I did see improvement when I applied his techniques. I also liked this workbook, The Candlestick Course by Steve Nison. I liked how he asked questions on candlesticks, lets you answer it, and then provides you with answers. I don’t like having to worry about the names of the patterns. I’m just reading this now, Profiting with Forex. It was written in 2006 so I’m not sure if some of the techniques still work but I like how straightforward the book is and they provide you with practical fundamental and technical information that most books don’t think of sharing with you. Thank you for sharing, Grace! Thank you for your effort .. what do you think about the book ( trading for a living ) !? It’s an easy read and you might find some nuggets of wisdom in it.